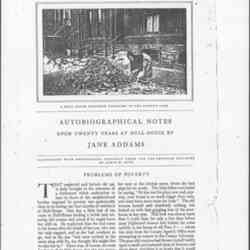 Subject is exactly "child protection laws"
An unknown correspondent writes Addams about the moral dangers of child labor in the theater. 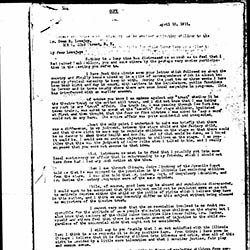 Lindsey apologizes to Owen for any distress following his statement at the Theatrical Benefit and discusses child labor and child actors. 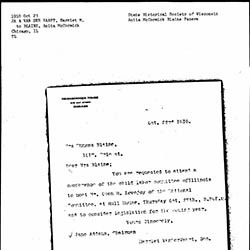 Bates writes Addams in support of her work to ban child actors from the theater. 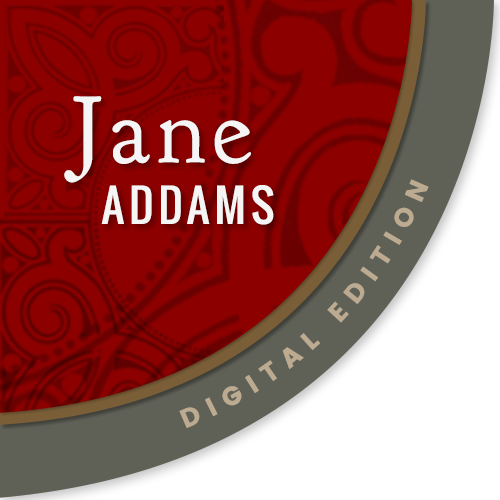 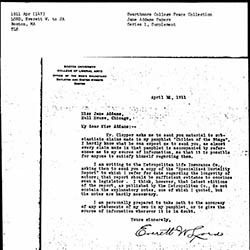 The managing editor of the Boston Traveler informs Addams that the school license in Boston does not harm the newspaper business. 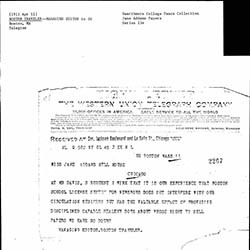 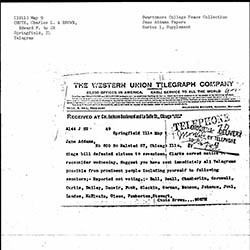 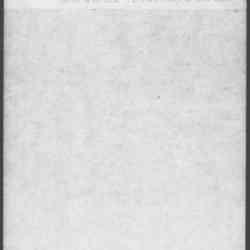 Chute and Brown send Addams a telegram regarding the defeat of stage bill in the Illinois Senate. 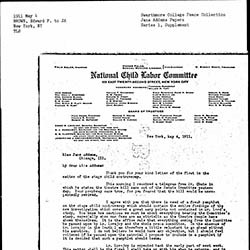 In Addams' speech before the National Conference of Charities and Correction, she forcefully argues for child labor reform as well as increased education. 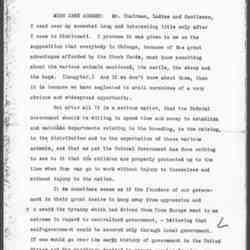 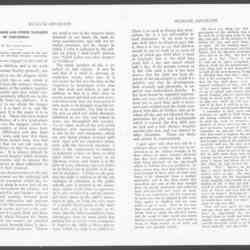 The speech, given on May 10 in Richmond, VA, was published in the proceedings. 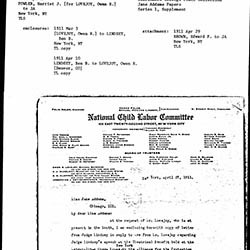 Addams' lecture on March 11 at the National Child Labor Committee Conference in Birmingham, Alabama, in which she presents arguments against an exception to the 1903 Illinois Child Labor Law for child actors and offers some Tolstoyan allegory to buttress her arguments. 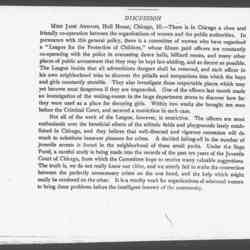 Addams discusses the work of the League for the Protection of Children, formed to advocate for the well being of children in Chicago. 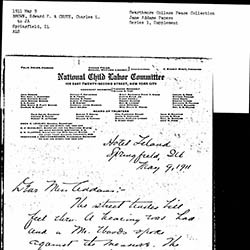 The comments were made during the National Education Association meeting. 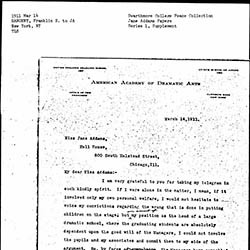 Brown asks Addams for advice about how best to get his research on stage children to Illinois legislators. 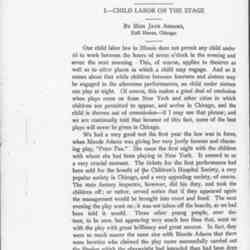 Brown writes Addams about the revival of the stage child bill and about plans for a new pamphlet opposing it. 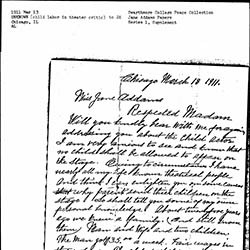 Brown informs Addams that the street trades bill she favored failed in the Illinois Senate, but the child stage bill she opposed also failed. 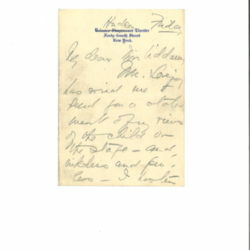 Lord informs Addams that he has been asked to provide citations for the accuracy of his pamphlet, Children of the Stage. 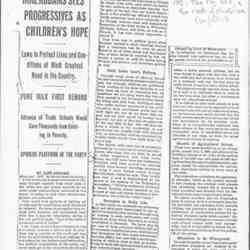 Kelley discusses a plan to keep children in school until the age of fourteen, and news of her children's summer plans. 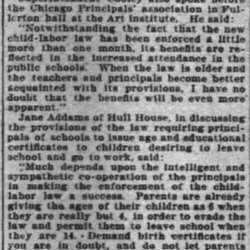 Sargent explains his inability, as the head of a dramatic school, to support Addams' effort to ban child labor in theaters. 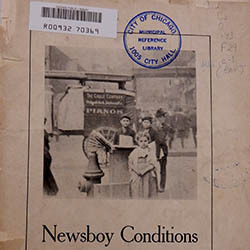 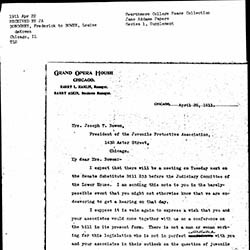 Donaghey writes Bowen about the scheduling of a new hearing to consider Senate Substitute Bill 233, regarding the exemption of child actors from the 1903 Illinois Child Labor Laws. 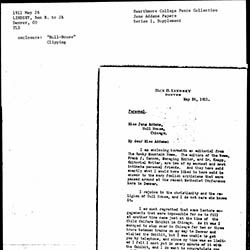 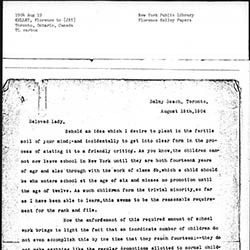 Fowler sends Addams correspondence between Owen Lovejoy and Ben Lindsey, regarding a benefit held by the Alliance for the Protection of Stage Children. 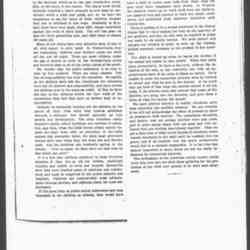 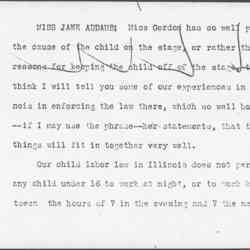 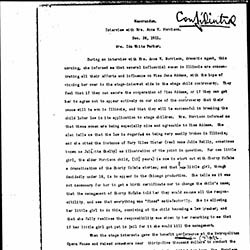 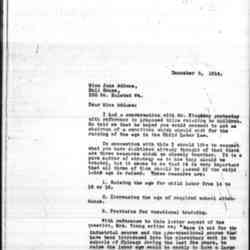 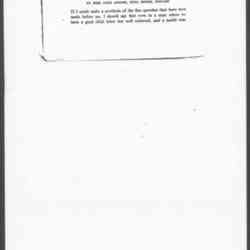 Parker reports on an interview with Morrison regarding Addams' opposition to a child actor exception to the 1903 Illinois Child Labor Law. 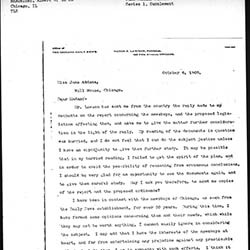 Tufts asks Addams to head a child labor committee in order to secure three measures. 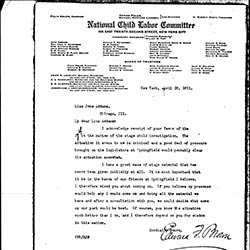 Addams explains the Progressive Party's approach to child labor and legislation.